Daniel is a performer and teacher of bass clarinet, working as a clarinet professor at José Iturbi Conservatory in Valencia, as well as an organising member of Valencia’s International Wind Band Contest. He has been invited to give lectures at various conservatories and music schools, including the Joaquín Rodrigo Conservatory in Valencia and the Francesc Granados Conservatory in Lleida. He strives to promote bass clarinet as a solo instrument alongside its solo chamber music repertoire. In 1993, he undertook his initial studies at the Royal Conservatoire of Antwerp, specialising in bass clarinet. After years of performing, he obtained his Master of Music in Bass Clarinet from the same conservatory, under the guidance of Professor Jan Guns. He has collaborated with professional wind groups and orchestras such as the Symphony Orchestra of Bilbao, Vitoria Municipal Band and Bilbao Municipal Band, and has played as a concerto soloist with the Alicante Municipal Band and Huelva Municipal Band. He has also performed in chamber groups including L’Ensemble, Consolat de Mar Clarinet Quartet, Fustavent Clarinet Ensemble and Duo Antwerp. In the course of his varied solo and chamber music projects, he has played in major concert halls and auditoriums such as deSingel Antwerp, Palau de la Música in Valencia, Francesc Granados Municipal Auditorium in Lleida, ADDA Alicante, Torrevieja Municipal Auditorium, Rafelbunyol Auditorium, Salvador Segui Municipal Auditorium in Segorbe, Den Botaniek Antwerp, Mengal Hall in Ghent Conservatory, and the Auditorium of Wuustwezel and Schelle in Belgium. Daniel has premiered many compositions dedicated to him and the bass clarinet. 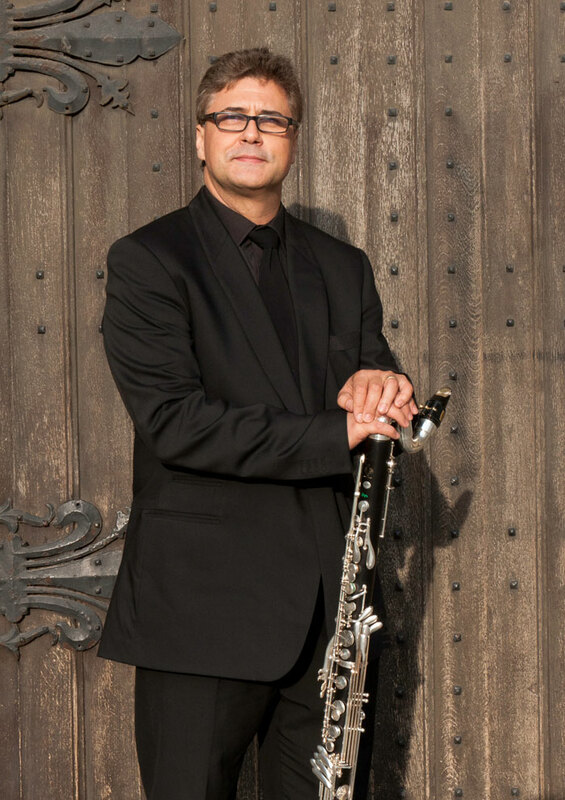 He has worked closely with major composers including Manuel Morcillo, José Alamá, Pere Sanz, Josep Roda, Antonio Fornet, Gerson Padilla and Eva Lopszyc, and has commissioned concertos for bass clarinet: “Con Cierto Sentido” by the composer José Alamá, and “The Castle of Dr. Bassclar” by Ferrer Ferran. He has served on several juries in clarinet and instrumental competitions, participating in the Fifth European Clarinet Festival in Ghent, Belgium, the Baketes Percussion Festival in Benetusser, Spain, the XXV Meeting of Composers (COSICOVA) in Valencia, Spain, and the Alto Palencia Free Expression Festival (FLESAP) in Segorbe, Spain. Daniel plays with the Steuer Bass Clarinet reed.